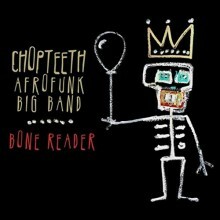 September sees a new release by the Chopteeth Afrofunk Big Band, a Washington D.C. based Afrobeat group. This marks the second release (the first being a live LP) from the 10-year veteran band that cut its teeth on the festival and world music circuit. The 12-member ensemble balances its funky polyrhythmic grooves with outstanding solos and compelling political commentary throughout the 10-track Bone Reader, an album that is dense with lyrical and musical concepts while being straightforward enough in its message and music for the casual listener to take something meaningful away after the first listen. Afrobeat has historically been animated by political and social justice issues, and Bone Reader follows closely in the mold set by Fela Kuti and others who pioneered this element of the genre. The band comes out swinging on the first track, “Questions of Our Day,” which opens with the lyrics “Who’s gonna take the lion’s share / Who’s gonna tip the scales, who’s gonna put them square / Who’s gonna stuff the box, who’s gonna say they can’t / Who’s gonna buy the block, who’s gonna pay the rent.” The song continues in this mold, addressing social issues in the abstract and setting the tone for some of the more specific commentary the band offers throughout the course of the album. The album’s fourth cut brings home an issue that is near and dear to the band based in the nation’s capital—the fact that Washington D.C. is inadequately represented in Congress. With the chorus exhorting “Give D.C. the vote immediately,” they point out population statistics, including the fact that Wyoming has a smaller population than the District but more Congressional representation. “Cop Show” (featuring rapper Flex Mathews) addresses police brutality and racial profiling in a compelling fashion over a funky, ever-changing groove. If all of this sounds alternatingly wonky and depressing, the grooves that the band plays throughout the course of the album are the spoonful of sugar that this medicine needs to go down smooth. Every cut on the record is danceable, and scorching solos—guitar on “Questions of our Day,” piano on the New Orleans-flavored “Rambeau,” and horns interspersed throughout—color the album with much-appreciated musical diversity. 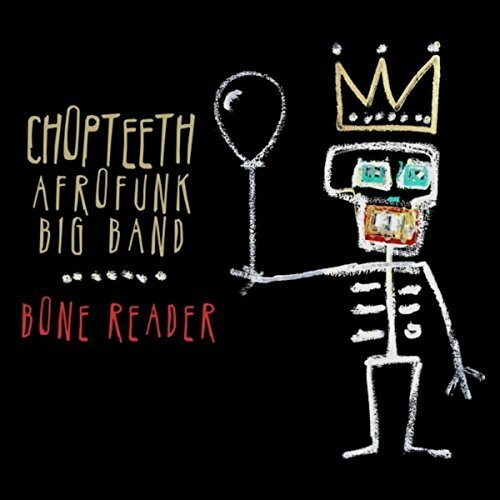 Chopteeth Afrofunk Big Band can riff as well as it can pontificate, and listeners are treated to a heavy dose of both on Bone Reader. This entry was posted in Rhythm & Blues, Soul, Funk, World Music and tagged 2017, 2017 releases, album release, Bone Reader, CD release, Chopteeth Afrofunk Big Band, funk, Grigri Discs, Jazz, Matthew alley, neosoul, Soul by aaamc. Bookmark the permalink.